Manufacturers & Exporters of Inconel Alloy 601 Pipes & Tubes, Alloy UNS N06601 Seamless Pipes & Seamless Tubes, Inconel 601 Welded Pipes & Welded Tubes in India. 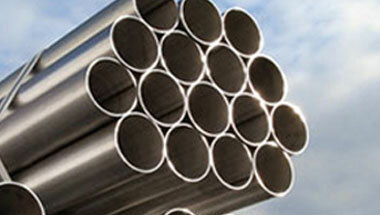 We offer a wide range of Inconel 601 Pipes and inconel Tubes made of qualitative raw material. Known for its high quality, durability and high utility these inconel pipes & Tubes are widely used in various industries across the globe. INCONEL alloy 601 is its resistance to high- temperature oxidation. The alloy also has good resistance to aqueous corrosion, has high mechanical strength, and is readily formed, machined and welded. Neon Alloys one of the manufacturer & supplier of inconel alloy 601 pipes & inconel alloy 601 tubes in india. These pipes can be availed by the clients in various specifications and grades as per their needs. Our product includes tubes and pipes, Inconel 601 Pipes, Inconel 601 Tubes, Inconel Alloy 601 Seamless Pipes & Tubes etc. Inconel Alloy 601 are highly known among the customers for their resistance against corrosion, high strength and dimensional accuracy. Inconel 601 Pipes, Inconel 601 Tubes, Alloy 601 Seamless Pipes & Tubes, Inconel Alloy 601 Welded Pipes Supplier, Alloy 601 EFW / ERW Pipes & Tubes Exporter in India. Brazil, Egypt, Ethiopa, Sudan, Tunisia, Kazakhstan, Turkey, UK, Russia, Mexico, Thailand (Bangkok), Uganda, Australia, Chine, Jordan, Algeria, Mozambique, Iraq, Malaysia, Indonesia, Kuwait, Cameroon, Houston, Trinidad and Tobago, Israel, Peru, Ghana, Colombia, Germany, Saudi Arabia, UAE, Angola, South Africa, Venezuela, Dubai, Argentina, Vietnam, Democratic Republic of the Congo, United States, New Zealand, Azerbaijan, Nigeria, Sri Lanka, Canada, Bahrain, Iran, Morocco, Italy, London, Africa. Abidjan, Lusaka, Soweto, Bamako, Tehran, Benin, Mogadishu, Alexandria, Muscat, Kampala, Subra al-Haymah, Harare, Tripoli, Dammam, Doha, Lagos, Cairo, Bulawayo, Dar es Salaam, Giza, Douala, Maputo, Byblos, Fez, Jeddah, New York, Lubumbashi, Freetown, Beirut, Antananarivo, Manama, Nairobi, Luanda, Tel Aviv, Yaoundé, Casablanca, Durban, Jerusalem, Colombo, Ouagadougou, Omdurman, Cairo, Mecca, Zaria, Khartoum, Istanbul, Port Elizabeth, Mbuji-Mayi, Kolwezi, Algiers, Addis Ababa, Maiduguri, Data from the UN, Sharm el-Sheikh, Accra, Brazzaville, Kaduna, Dubai, Aqaba, Kinshasa, Cape Town, Riyadh, Pretoria, Rabat, Amman, Conakry, Singapore, Abu Dhabi, Kano, Johannesburg, Ibadan, Bethlehem, Port Harcourt, Hong Kong, Dakar.